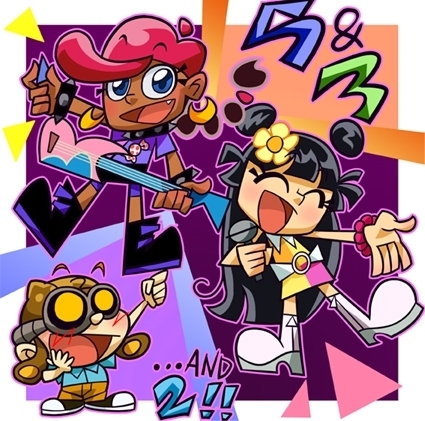 Hi Hi Puffy Ami Yumi+KND. This is only funny if you've watched the প্রদর্শনী. Wallpaper and background images in the Codename: Kids পরবর্তি Door club tagged: codename kids next door knd cartoons numbuh 5 numbuh 3 numbuh 2. This Codename: Kids পরবর্তি Door fan art contains নকল মানুষের, কমিক বই, কমিকস, and কার্টুন. There might also be ঘজত্যুই.